You can target 1 face-up Xyz Monster your opponent controls; equip this monster from your hand or your side of the field to that target. 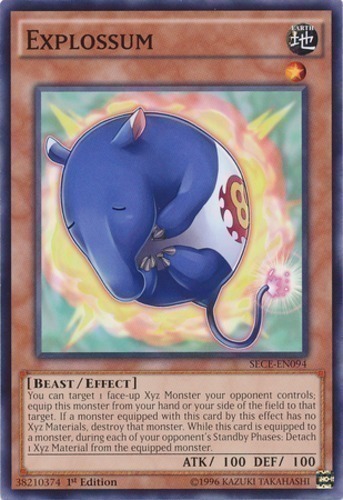 If a monster equipped with this card by this effect has no Xyz Materials, destroy that monster. While this card is equipped to a monster, during each of your opponent's Standby Phases: Detach 1 Xyz Material from the equipped monster.